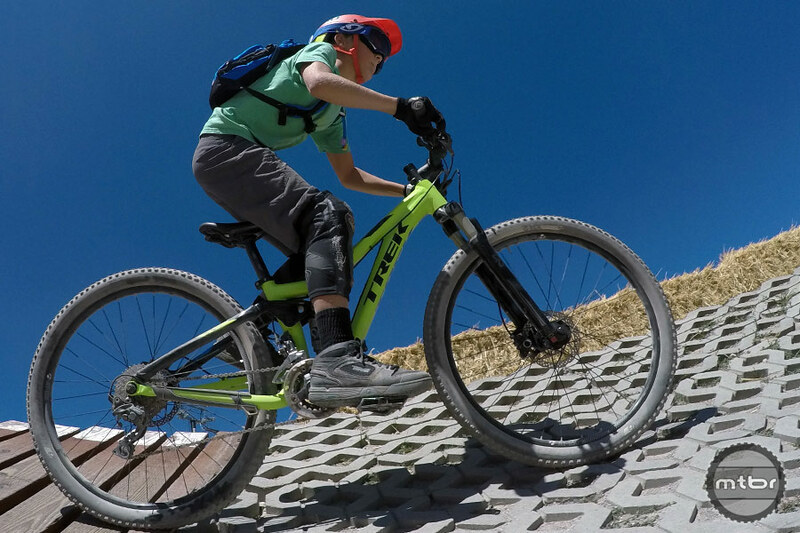 Since the Trek Fuel EX Jr arrived, our junior tester has climbed up things he’d previously never cleared (click to enlarge). 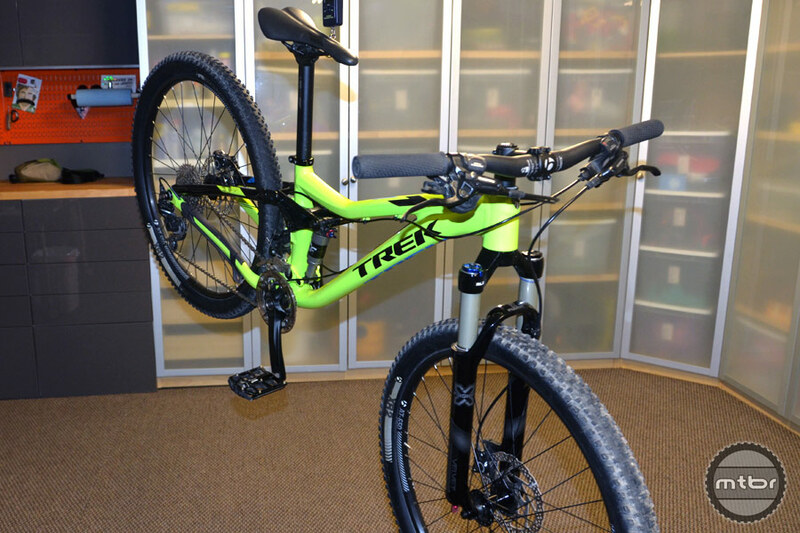 As the industry has rapidly transitioned to larger wheel sizes and machines that are able to rip down rugged trails while still getting us back to the top, Trek has adapted its proven Fuel platform into a bike for the next generation of riders. Introducing 26” wheels to a category dominated by 24’s, and collaborating with X-Fusion to create a suspension optimized for smaller riders, Trek appears serious about providing a solution to the challenge of finding kid’s size bikes worthy of the trails we want to ride with our young ones. We’d love to see the bike come closer to 27-28 lbs, but overall we were impressed (click to enlarge). The geometry of the Trek Fuel EX Jr traces back to trends in the all mountain category. With a slack 69-degree head tube angle and short 429mm chainstays, this bike handles similar to its bigger siblings. As with all kid’s bikes, one primary concern is how many seasons it will last until a new size is needed. With a low standover height of 653mm, the Fuel EX Jr will accommodate riders as small as 4’4”. As your child grows, you can swap on longer stems, wider bars, and raise saddle height. Just know that when your little guy or gal hits 5 feet, it will probably be time to go shopping again. The 90mm X-Fusion fork and rear shock are purpose-built for this frame (click to enlarge). The X-Fusion fork and rear shock are purpose-built for this frame. The look and level of quality is as good as I’ve seen. Indeed, all of the parts hung on the bike are respectable for a alloy bike that costs less than $2000. In a category where disc brakes were challenging to find only a couple years ago, nearly all the components on this bike have been appropriately configured, including the hydraulic disc brakes. The stem is scaled down slightly, as are the 160mm crankarms. Chris Hillyer started mountain biking when the cool kids were riding Bridgestones with thumb shifters (SIS turned off). He has enjoyed watching the evolution of the sport and is focused on staying fit enough to keep up with his kids Logan and Lake. Chris is a innovator and gear designer in the Outdoor Industry and occasionally crosses over into bike equipment as well. Although he spends a fair amount of time traveling (and riding) in other parts of the world, the trails around his home in Santa Barbara, CA are still his favorites. I hope other bike manufacturers take note, especially in the xc area. It is getting more and more difficult to find a well equipped 26″ XC bike for tweens to learn and race on. The 26″ should be the top of the line Jr bike. Ah……all my mountain bikes are 26’ers…..I am 5’10″…..Guess they call this a “kid’s” bike vs a “woman’s” bike as some boys might not want to ride a girl’s bike? Why the heck hasn’t Trek made a 4″ tire version of the Fuel EX yet….pretty sure they’d sell more of those than a kids version…. 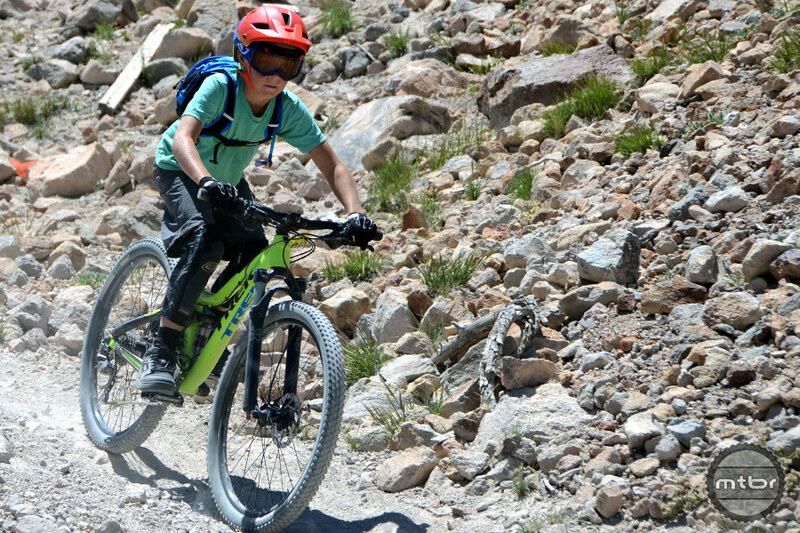 There’s a reason most bike companies won’t make comparable mtb bikes for Jr’s….demand. Most parents would love, I mean LOVE to buy their kid an awesome bike. However, the reality of it is most people can’t afford to blow so much on a bike. Especially if they have more than 1 child in their household. Kids can’t actually afford a $2,000 bike. Well maybe some or the obsessed ones who save all of their allowance and or summer job money. So bike manufactures are of course hesitant to release a full on trail bike with full suspension. So, most parents who are middle class are going to think…do I spend $2,000 on my kids bike that he will eventually grow out of or do I just give him a regular cheapo bike from REI or Hudson trail that costs significantly less. I saw the Trek Jr and other small adult dualies selling for $1.5-2k weighing in around 30-35lbs and came to the same conclusion as Joe N…. absurd at almost 50% of rider weight. parts group of choice from UK or Germany (xt cranks come in 165mm). Result: 21lbs or 22lbs including thudbuster seatpost. I spent less than $1.5k on a bike equivalent to something that would MSRP for well over $3k. My son was so psyched when he first picked it up compared to the tanks we had been looking at in the stores. Then he rode it and the 26″ wheels make a huge rollover improvement compared to 24″.